CAG has come down heavily on Gujarat government over. CAG said that increase in lion population exerts pressure on protected areas. Protective habitat for lions hasn't increased in proportion with lion populations. The Comptroller and Auditor General of India (CAG) has come down heavily on Gujarat governments most lauded success story of Asiatic Lion conservation in Gir Forests of Saurashtra peninsula. In its report tabled on the last day in the state Assembly on Wednesday, CAG has pointed out that though the increase in lion population in Gujarat is a success story, the rising population exerts pressure on existing protected areas (PA). The total population of Asiatic Lions has increased from 359 in 2005 to 523 in 2015, but no new protected habitat for lions has been approved since 2008. The implementation of modern technology for conservation of Asiatic Lions was very slow. Audit also observed instances of allowing prohibited activities within the protected areas and not ensuring compliance with conditions of PAs, the repot has remarked. The rapping from CAG comes as a rude shock for the the forest and environment department of the state which has recently been taken to task by Gujarat High Court that took suo motu cognizance of high number of lion deaths in 2016 and 2017. 184 lions died in last two years 32 of these died unnatural deaths which could be caused by getting crushed under railway tracks, or being attacked by humans, electric fencing or falling inside a well without barricade. The number of lions outside the protected area in 2011 was 108, which increased by 54.6% to 167 in 2015. 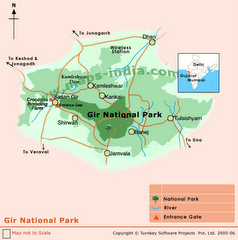 A proposal submitted in March 2016 for draft Eco Sensitive Zone notification for Gir protected area also says that the latest census should be taken as a warning sign as nearly one-third, 32% of lions have their habitat outside the Gir protected area, which according to CAG 'risks human lives, livestock as well as the safety of lions themselves' CAG says. Significantly, the number of violent attacks on livestock and humans by lions in 2016 and 2017 were 398 leading to serious questions about man-lion conflict in the entire Saurashtra region. This figure was recently released in the Assembly. What needs to be noted is that all of these issues are not only understood by forest department but their solutions have also been well laid out for years, but implementation remains a distant dream for reasons that are not exactly fathomable. 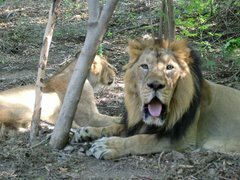 As far back as 2005, the Junagadh Chief Conservator of Forest had suggested to declare 30,152 hectares of land in Amreli and Bhavnagar as sanctuary to provide safe corridor for lions moving out of Gir protected area. As on May 2017, the declaration of this area as protected area is pending despite lapse of more than 11 years, CAG observed. Following lion poaching cases in 2007, the F&ED had initiated several ambitious projects as it was flooded with fund allocation by then chief minister Narendra Modi. One of the projects was genome mapping and conservation of Asiatic Lions. It was also suggested to set up a laboratory that wold have facilities for cryopreservation, DNA sequencing, etc. in 2010, F&ED signed an MoU with Gujarat State Bio Technology Mission (GSBTM). However, the project actually commenced only in May 2014. Within a year of commencement, the MoU with GSBTM was cancelled and entrusted to Gujarat Forestry Research Foundation (GFRF) and renamed Wildlife Genomics Research Project (LEOGEN). As of July 2017, only two of the six activities have been attempted. Work on diagnostic core was not start3ed , though the incubator for this purpose was purchased in November 2013. Specifications for laboratory were also not prepared. Despite the fact that GFRF did not have expertise in the field of scientific research on genomics, which was the core requirement of the project, the project was given to it. There was no permanent technical staff in GFRF to run the project. 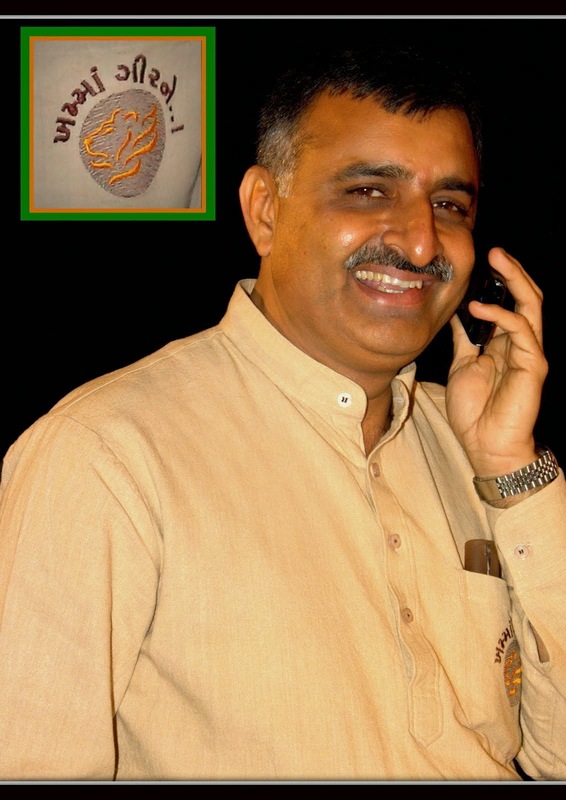 The director GFRF justified the transfer from GSBTM to GFRF on the grounds that it made collection of samples in the wild life sanctuary easy. But collection of sample was not the objective of the project. However, Audit also observed that the director for GFRF himself reported to F&Ed in November 2015 that the project had come to a standstill. Thus the progress of the project was slow despite availability of funds for the reasons stated above, CAG has said. An expenditure of Rs 25.35 crore was incurred on construction of chain link fencing along railway tracks to stop lions from getting crushed under moving trains. However, lions entered the fenced area on eight occasions, raising doubts over the projects effectiveness.